Wyoming County Coroner Tom Kukuchka, Sen. Lisa Baker and state Attorney General Josh Shapiro in Tunkhannock discussing a new law to help keep prescription medicine out of the wrong hands. 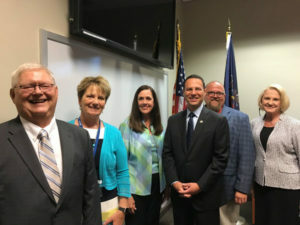 Wyoming County Coroner Tom Kukuchka, Diane Baldi, chief executive director Hospice of the Sacred Heart in Wilkes-Barre, Sen. Lisa Baker, state Attorney General Josh Shapiro, Tom Johnson-Medland from BAYADA Hospice in East Stroudsburg, and Mary Erwine, owner of Erwine Home Health and Hospice in Kingston announcing the passage of SB 978 into law. Recently, Attorney General Josh Shapiro joined me, Wyoming County Coroner Tom Kukuchka, area families, social service providers, addiction specialists, health care practitioners, and representatives from law enforcement and the courts to announce a new law allowing hospice and homecare workers to safely dispose of medications left behind following the death of hospice patients. As we search for effective solutions to combat the devastating opioid crisis, informed perspectives from within the community are extremely helpful. Prior to Act 69, it was illegal for anyone – even healthcare workers – to possess a prescription in someone else’s name. Coroner Kukuchka brought the issue to my attention, explaining the need to keep these drugs from falling into the wrong hands, while also relieving grieving families of the burden of disposing of unused prescriptions. Research conducted by Dr. Susan Sordoni and The Institute for Public Policy and Economic Development, and input from Hospice of the Sacred Heart, Erwine Home Health and Hospice, and BAYADA Hospice were indispensable in crafting and successfully moving the legislation. 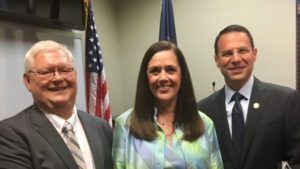 Calling the law a step in the right direction in the battle against opioid addiction, General Shapiro said 80 percent of persons addicted to heroin started by abusing prescription drugs, and over 70 percent of people who misuse prescription drugs get them from friends, relatives or a medicine cabinet. But the situation we have addressed is just one piece of perhaps dozens needed. There is no single large step to solve this crisis. We have to do many things to change laws, regulations, practices, treatments and attitudes. We are working, we are consulting, we are cooperating, and we are approving measures that we hope will add up to effective antidotes. 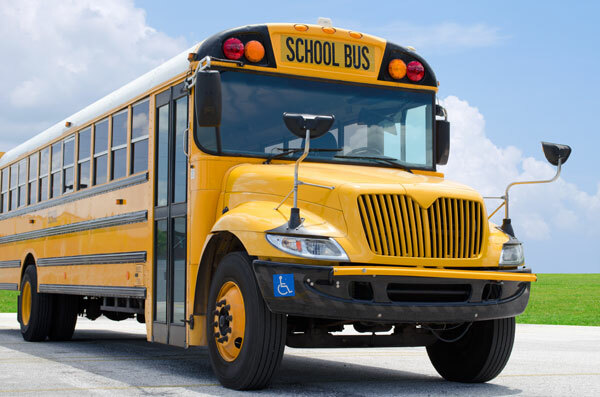 Students will be returning to school soon, and for their safety please keep Pennsylvania’s school bus stopping law in mind. Motorists must stop at least 10 feet away from school buses that have their red lights flashing and stop arm extended. Motorists must stop when they are behind a bus, meeting the bus or approaching an intersection where a bus is stopped. More on the law, including penalties, is available here. Rural hospitals are critical to the health, safety and economic viability of residents and communities throughout much of Pennsylvania, but many are struggling to keep the doors open. With more than 30 rural hospitals currently at risk of closure, I have joined with Rep. Tina Pickett (R-110th) and the state Department of Health (DOH) to offer innovative ways to continue providing quality health care. In recent years, we have heard a great deal about the challenges facing many of our rural hospitals. The DOH has developed a substantial initiative to address critical problems and change the operating climate from one of decline to opportunity. Recently I introduced Senate Bill 1237, to establish the Rural Health Redesign Center to oversee the transformation. Intended to help rural hospitals by developing a more predictable payment plan, the program will create a fixed budget to standardize reimbursements while also improving their ability to develop and carry out expanded, state-of-the-art community health services, and providing the capacity for them to pursue programs addressing key needs, such as behavioral health and substance abuse, and cooperative EMS. 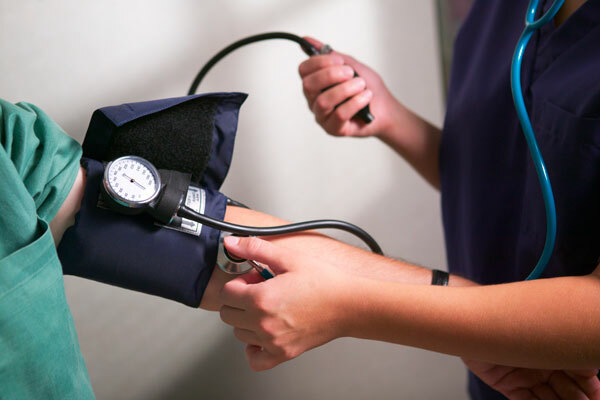 The effort will be initially funded by a $25 million grant from the Center for Medicare and Medicaid Innovation. As a public-private partnership operating independently from the commonwealth, the RHRC will also have the capacity to raise funds from other sources, such as foundations. The DOH will provide various opportunities for rural hospitals and community partners to improve local health status and ensure they receive the tailored, consistent support they need to be successful. By putting a tourniquet on the financial bleeding, we can enable our rural hospitals to invest more in community health. With not a lot of time left in this legislative session, I will move the bill quickly so there is a chance it can be sent to the governor and become law this year. 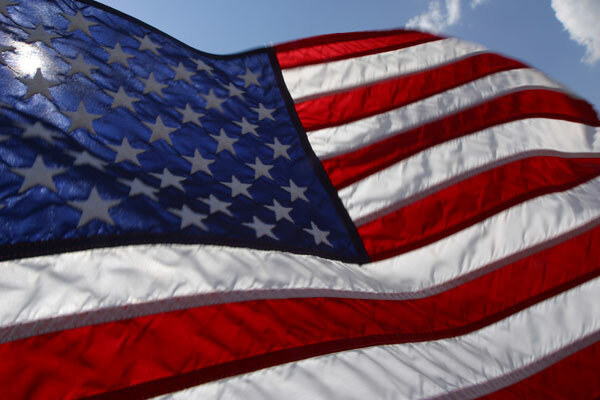 The August 31st deadline is approaching for eligible veterans who served on active duty in the Persian Gulf Theater of Operations from Aug. 2, 1990 to Aug. 31, 1991 to collect a special one-time payment to honor their service and sacrifice. The bonus program is administered by the Pennsylvania Department of Military and Veterans Affairs and pays $75 per month for qualifying, active-duty service members, up to a $525 maximum. For personnel whose death was related to illness or injury received in the line of duty in Operations Desert Shield or Desert Storm, there is an additional $5,000 available to the surviving family. Service members who were declared prisoners of war may also be eligible for an additional $5,000. You can apply here. The State Transportation Commission has approved a new 12-Year Transportation Plan. 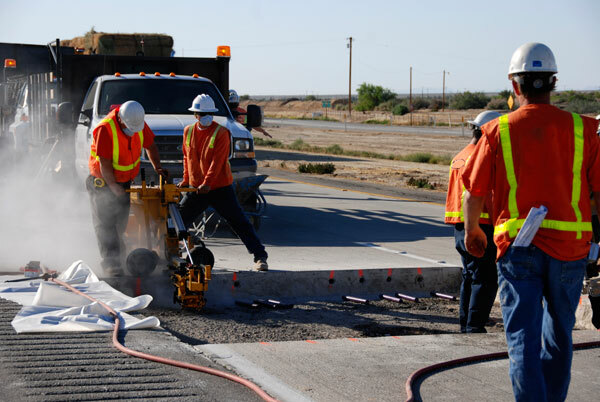 The updates take effect October 1st, with $11.53 billion projected to available for state highway and bridge projects in the first four years. Public transit is in line for $9.62 billion; aviation, $128 million; rail freight, $228 million, and multimodal projects, $319 million. The commission is chaired by the Secretary of PennDOT and consists of 10 appointed citizens and the majority and minority chairs of the state House and Senate Transportation committees. You can read the plan and search projects by county here.